Don’t you wish Valentine’s Day hit at a better time of the year? It would be great if it was warmer and wasn’t at the end of the holiday craziness. It’s like I just got my finances back on track in January and then – BAM! – Valentine’s Day hits! The pressure of dresses, dinner, flowers and treats all rest on us with a dead weight! Here are five cheap Valentine’s Day treats that won’t break the bank. Saving money is cool, but societal norms seem to pressure us into spending more money. Jason and I use the statement “we CHOOSE to not buy this or that.” The choice is ours and we’d rather see more savings in our bank account than Instagram photos if we had a fancy and expensive date. That phrase eased the transition to save more and spend less. 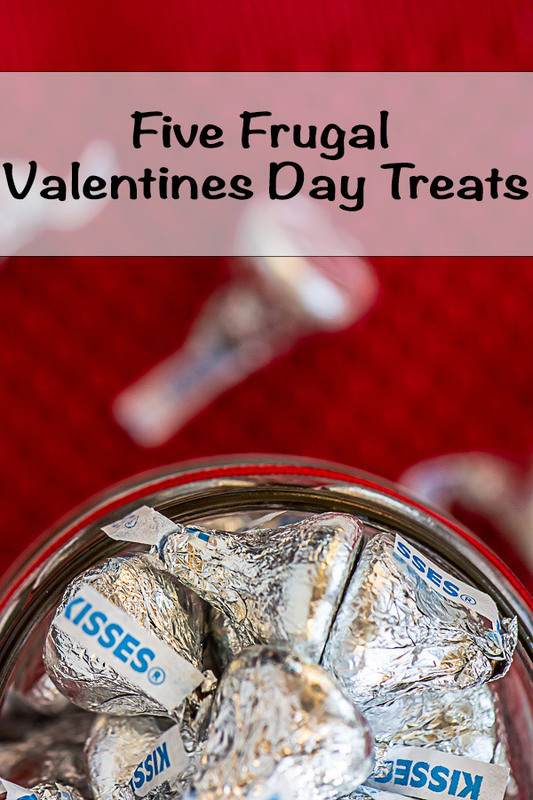 In this case, we will CHOOSE to make frugal Valentine’s Day treats! 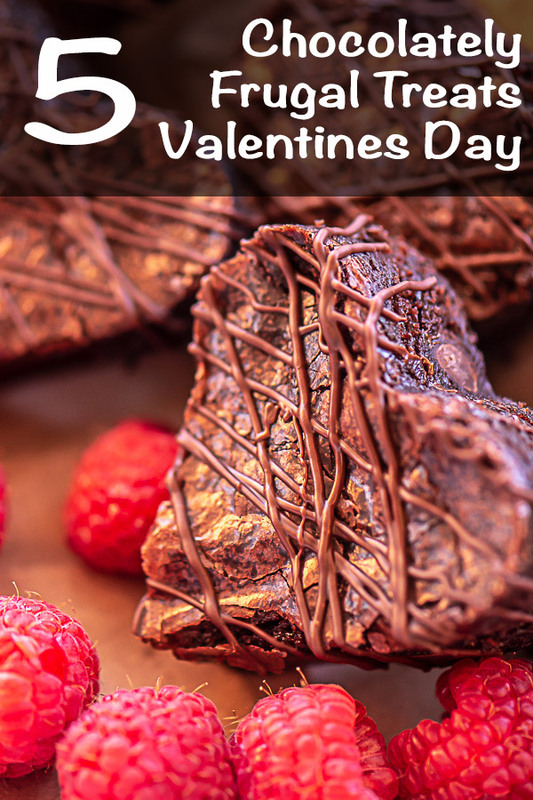 Use a Cookie Cutter to Make Heart Shaped Brownies! Super Simple! To make the pink chocolate, melt a ¼ cup of the white chocolate in a Pyrex measuring cup in the microwave at 30-second increments. Place one drop of red food coloring in the melted white chocolate and mix. Keep adding one drop of food coloring at a time until you get the color you want. Once you are satisfied with the color, put the melted chocolate in a sandwich ziplock bag (we’re going frugal here!) and cut off just a tiny bit of the tip of the bag’s corner so that you can squeeze it out. I’ve cut it too big before and it just globs out in a hot mess. Also, don’t press too hard on the corner as the ziplock bag can break and spray chocolate all over the place (again, more experiences so you don’t have to go through this like I did)! Drizzle the top of the saltines with the pink/red mixture. I drizzled again with white so it had a two-toned effect to it. This is the Valentines Version of Saltine Toffee Crack. 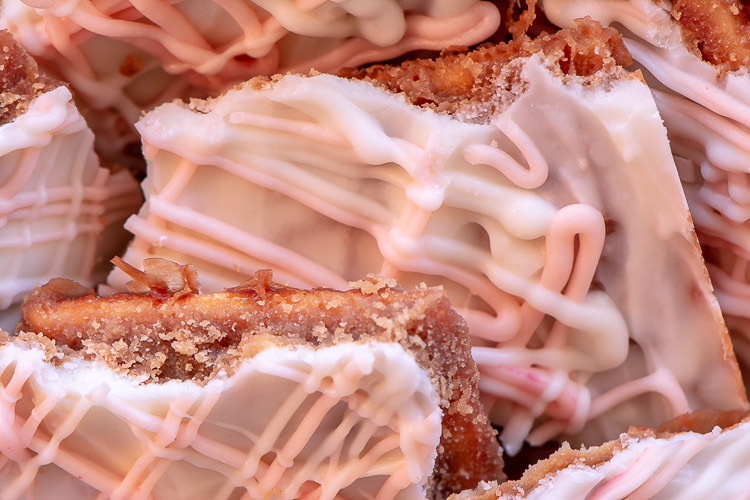 The Salty Sweetness is Perfect with White and Pink Chocolate! This is one of my all time favorites! I LOVE brownies and can gobble down a whole pan in no time if you left me alone! First, you’ll need to whip up a batch of brownies of your preference (or just follow the box’s instructions, like I did). After they cook, allow the pan of brownies to cool. Use a small, heart shaped cookie cutter to cut out the hearts and place aside. Almost all of my brownies came out staying in the cookie cutter except for two that were my fault. Melt ¼ cup of chocolate in the microwave for 30 seconds at a time in a Pyrex measuring cup. Pour the warm chocolate into a ziplock bag and snip the bottom corner off (just a tiny hole as you don’t want it to come out gooey!) just like the instructions in Saltine Toffee Cookies. 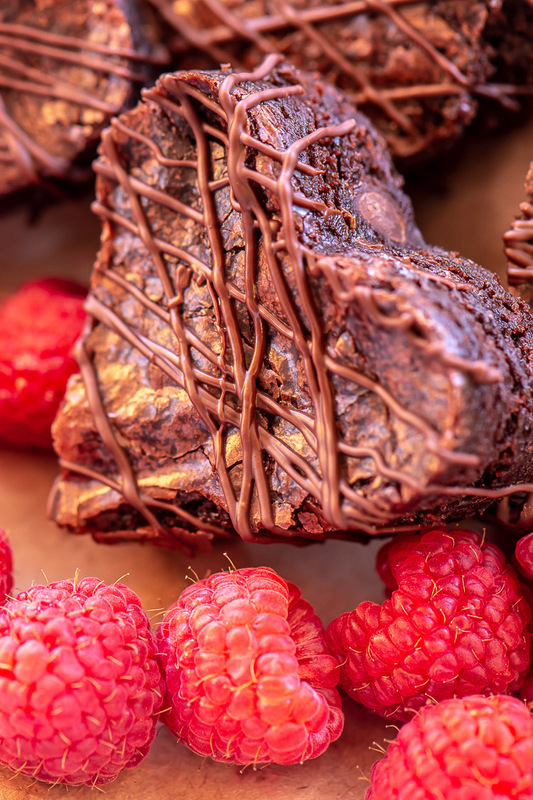 Drizzle the heart shaped brownies with this melted chocolate. Let them stand until they harden. I served mine with red raspberries! 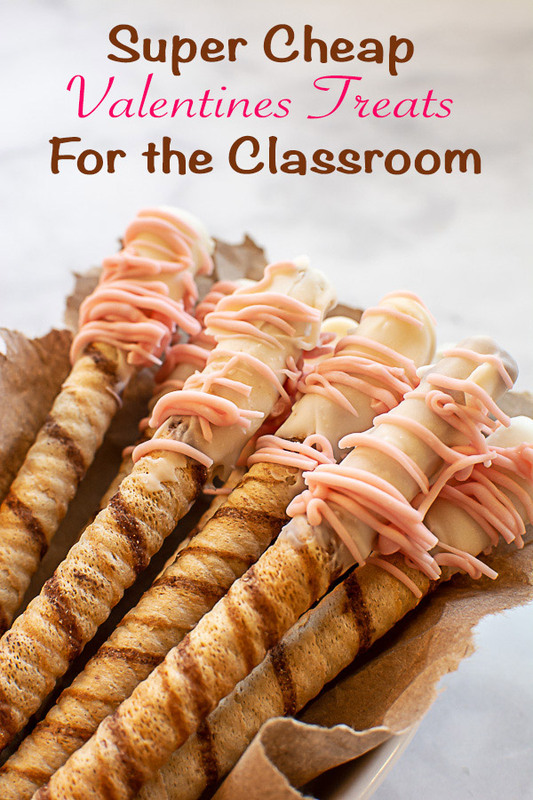 These are fantastic valentine snacks for the classroom, too. It doesn’t take a lot of time to make them, and almost every kid loves chocolate brownies! 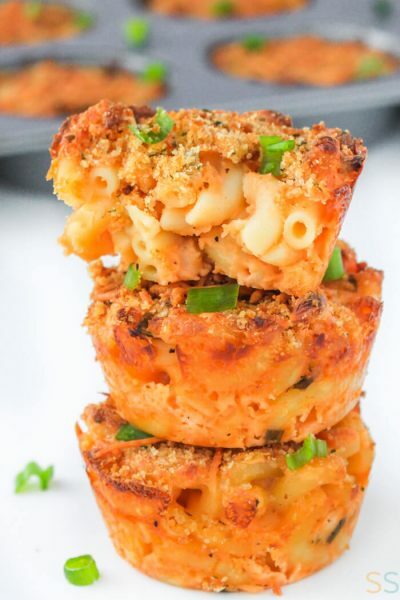 This one requires almost zero effort and no cooking! You have love that, right? I used a recycled pickle jar but if you don’t have one, stop by a Goodwill to pick one up. They normally have Mason jars for cheap. If you are using a recycled jar, use craft paint to paint the jar. I have also covered the top of the jar with a fabric square and tied it around the mouth of the jar with the ribbon. Take the wafer cookies out of the packaging. Melt ½ cup of chocolate in a Pyrex measuring cup and once it has melted, gently dip the bottom third of the cookie in the melted chocolate and then stand them upright in a jar to harden. Once the ends are dry, place the wafer cookies on a sheet of wax paper, drizzle melted chocolate across the top and allow them to harden. Once they are done drying, turn them over and drizzle the opposite size. Add sprinkles to the melted chocolate if you have some laying around. We all love sprinkle! 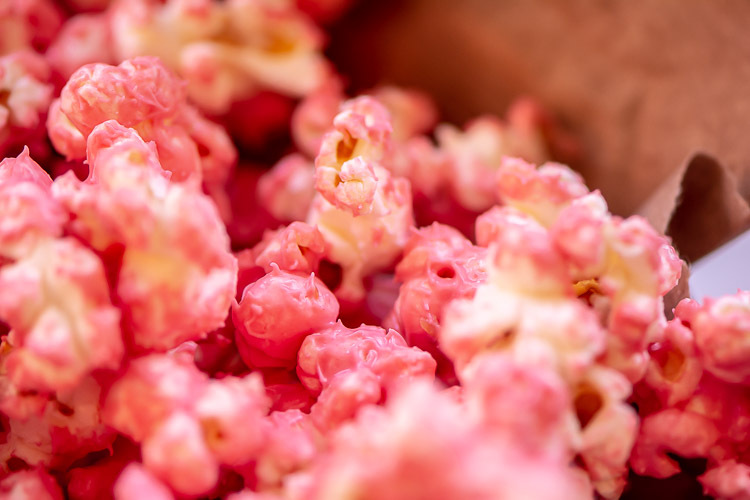 Pop ½ cup of popcorn and let it sit to cool. Combine ⅛ tsp of oil and 6-8 oz of white chocolate in Pyrex measuring cup. 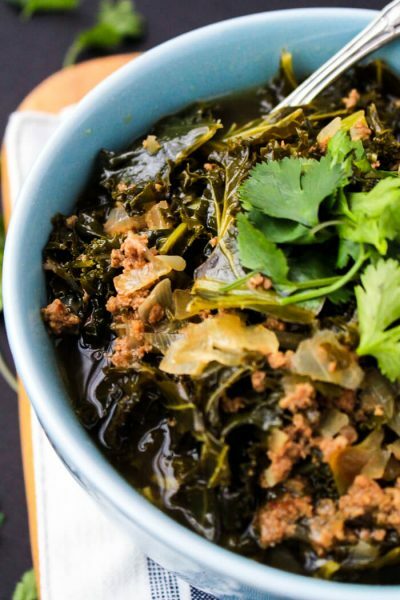 Melt it in the microwave in 30 second increments. Stir each round to make sure you don’t burn the chocolate. Once the chocolate had completely melted, add 1-2 drops of food coloring and stir. Keep slowly adding the food coloring until you get your desired color. A small amount goes a long way. Mix the popcorn and the warm chocolate together with your hands in a large mixing bowl. I suggest starting with a smaller amount of the chocolate and adding more if needed. Not every kernel needs to be completely covered. This is very rich and sweet as it is. It was hands-down the Chocolate Popcorn. What?? That was the easiest of all of them. It goes to show that you never know what will resonate with everyone’s taste buds. Combine butter and sugar into a pan and bring to a boil. Boil for 3 minutes. Sugar and butter mixture should look similar to this when it is approaching the 3 minute mark. It should be lighter and airy. Spread out the saltines over a cookie sheet. The pan will not be fully covered with the saltines. Spread the butter/sugar mixture all over the crackers. Place in hot oven and cook for 5-6 minutes. Sprinkle the white chocolate chips over the cracker/sugar/butter mixture when you remove it from the oven. Allow to gently melt for a couple minutes and then you will be able to spread the chocolate. Once it is completely hardened, you will be able to melt the ¼ cup of white chocolate in the Pyrex measuring cup at 30 second intervals. Stir after each time as the measuring cup will be warm and will help melt the chocolate. Drop one or two very tiny drops of red food coloring in the melted chocolate measuring cup and stir. Only do a little at a time as it darkens fast. Take a sandwich sized ziplock bag and fill it with the melted chocolate. 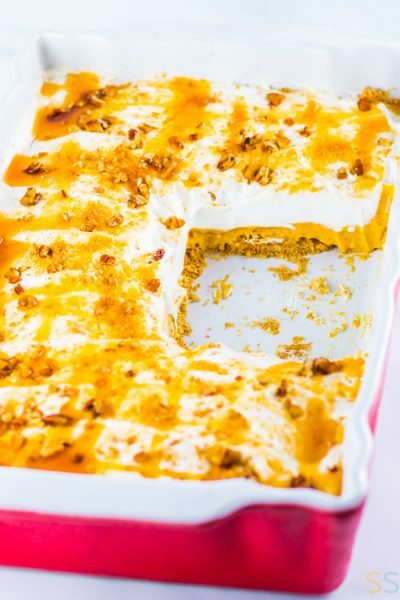 Snip a tiny bit of the corner off so you can drizzle chocolate onto the Saltine Toffee Crack. 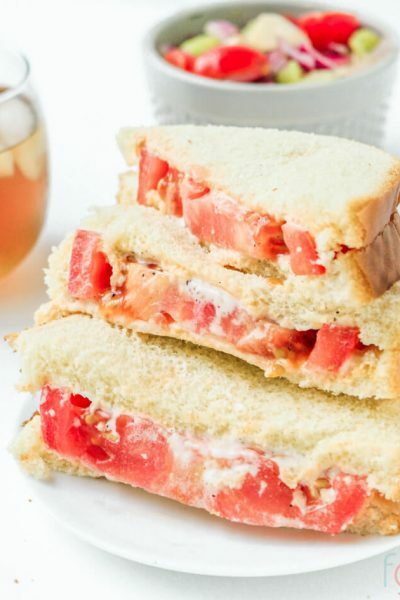 To drizzle, start in the left corner and go back and forth until you reach the bottom right corner. Next start with the upper right corner and drizzle back and forth until you go to the bottom left corner. 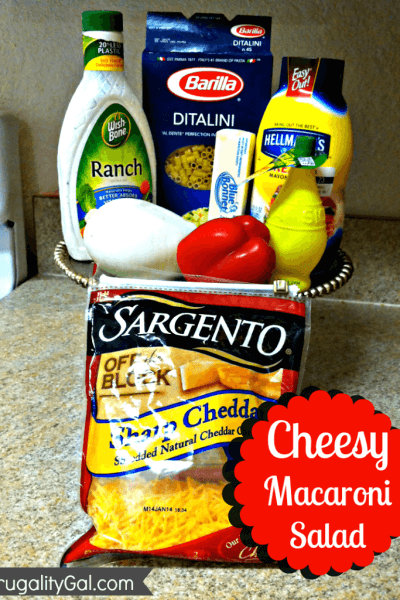 This will allow you to get a beautiful criss cross drizzle. Prepare brownies as per box directions and allow to cool. Once the brownies are cool, press small heart shaped cookie cutter into brownies and pull out. Use a small spatula underneath the cookie cutter/browie to help ease it out, if needed. Set aside. Combine the ¼ cup chocolate (I used chocolate chips) and the 1-2 drops of oil into a small Pyrex measuring cup and heat in microwave at 30 second intervals. Always stir in between each interval as the sides of the cup are hot and will help melt the chocolate. Place the heart shaped brownies on a piece of wax paper. Take a sandwich sized zip lock bag and fill it with the melted chocolate. Snip a tiny bit of the corner off so you can drizzle chocolate over the heart shaped brownies. Make sure to go off of the brownie when you drizzle so when you remove it from the wax paper, it is fully covered. Place chocolate in a glass pyrex measuring cup and microwave in 30 second intervals. Stirring in between. Once the chocolate is fully melted, dip the wafer cookie into chocolate and place the wafer cookie upright into a small container to fully cool. If you place it on the wax paper, it will harden flat on the bottom side. After the chocolate hardens, place all of the wafer cookies on a sheet of wax paper. Heat the remaining chocolate in the microwave again and add red food coloring. 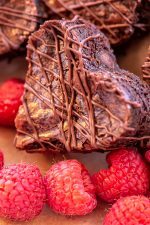 Scoop the pink melted chocolate into a small zip lock bag and cut off a very small portion of the bottom corner so you can drizzle the chocolate over the wafer cookies. Allow to fully cool. Turn over and drizzle the other side. Pop the ½ cup of popcorn and allow to cool. Heat up the chocolate in the microwave in a microwave safe container like a Pyrex measuring cup. Heat only in 30 second intervals and stir in between. Drop 1-2 tiny drops of food coloring in chocolate and stir to desired color. 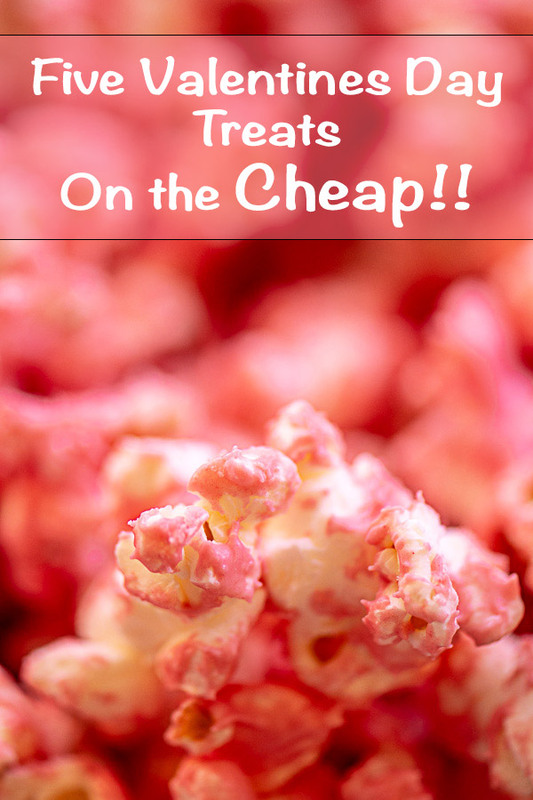 Combine popcorn and chocolate in a large mixing bowl and gently combine with your hands. Start with a smaller amount of chocolate to get the desired amount of coverage. You do not have to fully cover the popped kernels as it is very sweet with just a tiny bit of chocolate. As all of the treats are show in one recipe card, we chose not to include serving sizes or calorie content on this post as they would not be computed accurately. 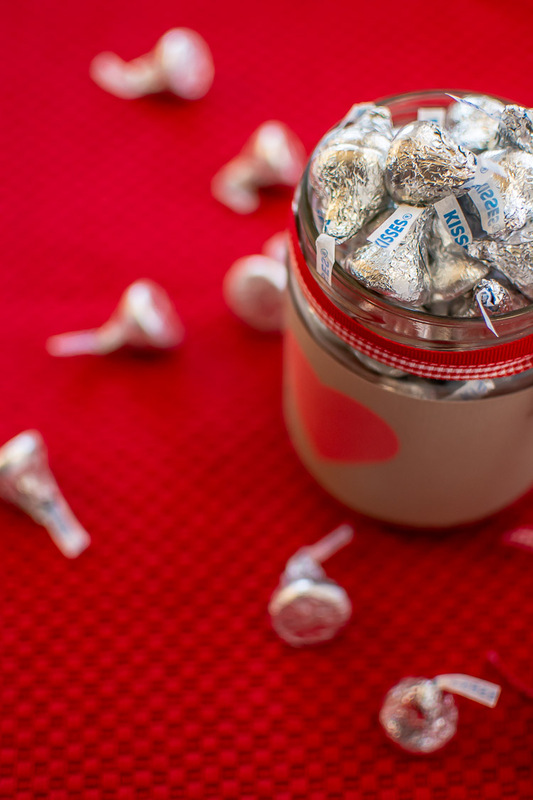 What Better Treat for Valentines Day than Hershey Kisses!